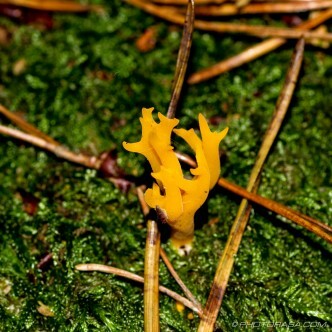 Photos and picture galleries of various different fungi. Fungi are the diverse kingdom of organisms that include mushrooms, toadstools, yeast, mould and smuts. They all commonly survive by decomposing and absorbing the organic material on which they grow. For example, mushrooms commonly grow on fallen leaves and dead wood. 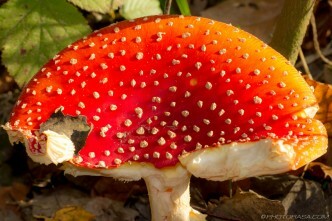 Fungi differ from plants in that they lack chlorophyll, leaves, true stems, and roots. 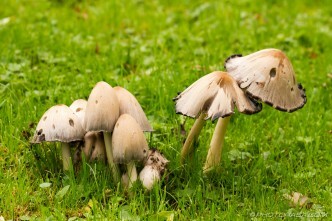 They also reproduce by spreading spores in the air and are parasitic by nature.